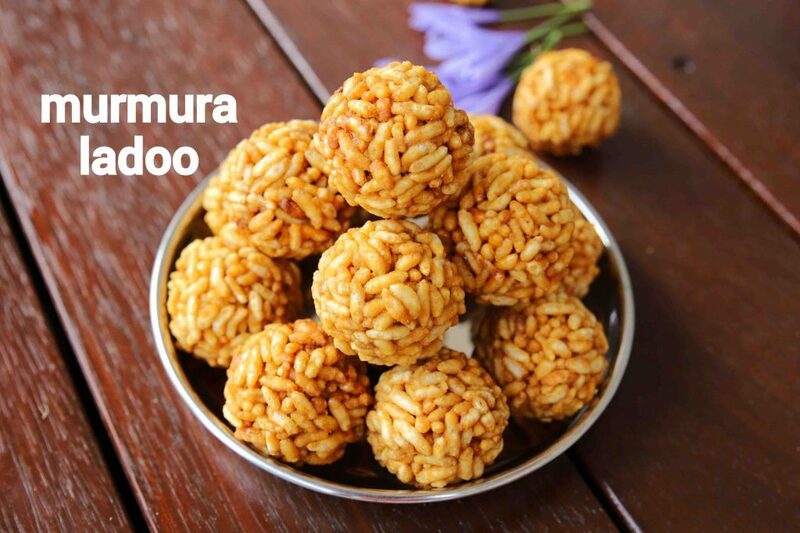 pori urundai recipe | murmura laddu | murmure ke ladoo | puffed rice ladoo with detailed photo and video recipe. 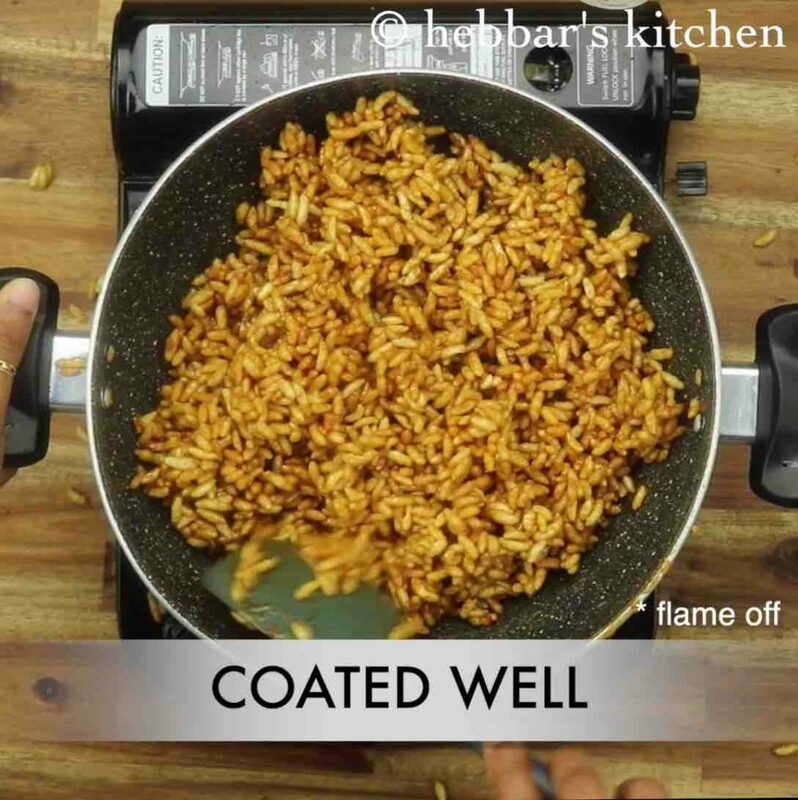 a traditional indian sweet recipe made with puffed rice and melted jaggery syrup. it is an simple and easy dessert made with just 2 ingredients similar to the peanut or sesame ladoo. it is ideal sweet served during winters but can also be made for surprise guests lunch or for celebration feasts. 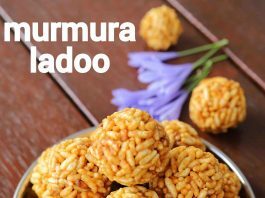 pori urundai recipe | murmura laddu | murmure ke ladoo | puffed rice ladoo with step by step photo and video recipe. laddu recipes are very common desserts made across india for various occasions. some are purpose or occasional based sweets and some are random and unplanned ladoo sweet. but this recipe of pori urundai or murmura laddu is a unique sweet which can be offered for both the categories without any complaints. there are 2 types of laddu and is basically derived by the source of its sweetness. 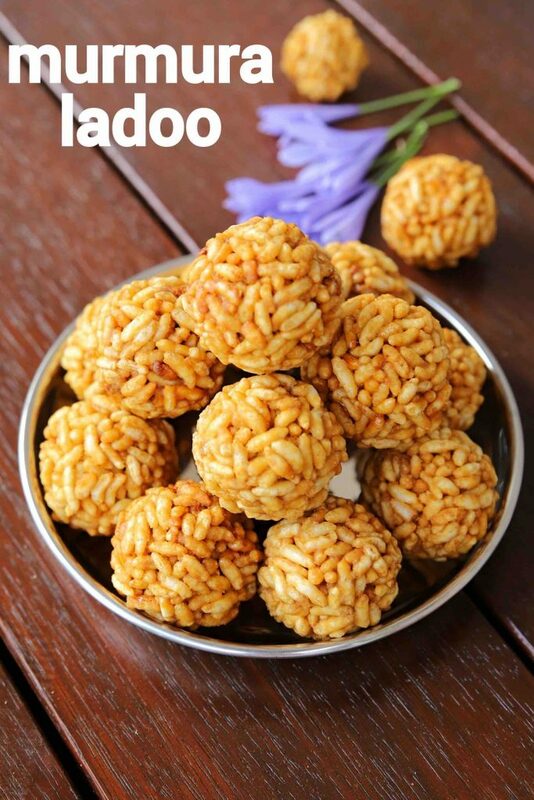 basically the laddu can be made from jaggery or using the sugar. the later one is known for its taste, but the former one is known for its health aspect. the pori urundai or murmura laddu belongs to the jaggery category and obviously provides myriad health benefits. 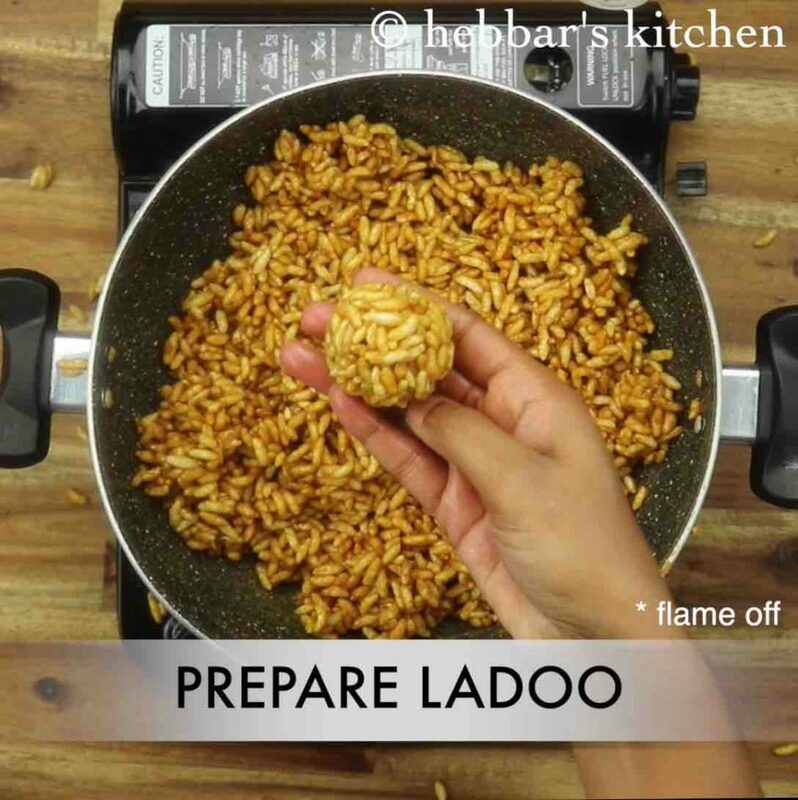 moreover these puffed rice ladoos are also known as seasonal ladoo and is made specifically during winter season. it provides the necessary heat and moreover has a long shelf life making it ideal during winter season. 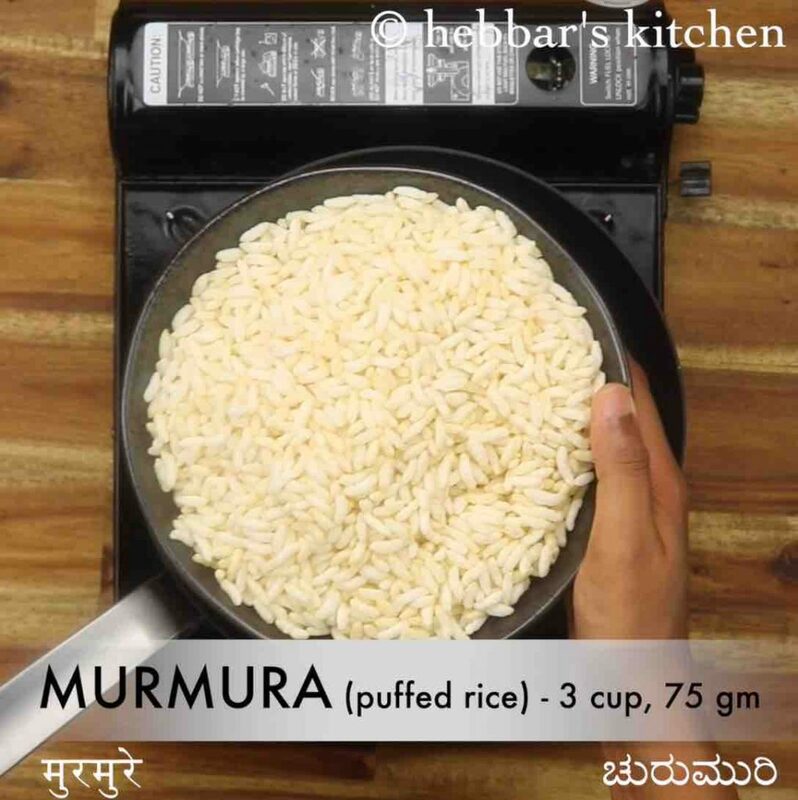 furthermore, some easy and important tips and suggestion while preparing pori urundai or murmura laddu. 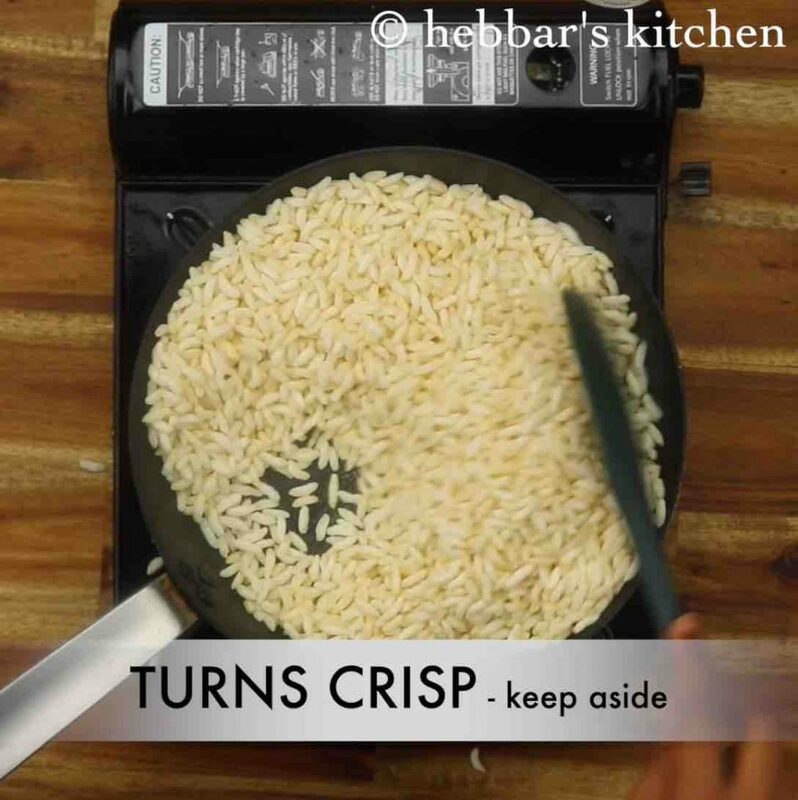 firstly the puffed rice or murmura has to be super crisp before mixing it to the jaggery paste. hence i would recommend to use fresh and crisp murmura. secondly, i would heavily recommend to use sticky and dark coloured jaggery for this recipe. this is the same jaggery used for peanut or sesame ladoo. you may want to ask for the sticky jaggery in your nearest grocery shop. lastly, once murmura is mixed with jaggery syrup, it has to be shaped immediately. do not cool down as the jaggery syrup will crystalise. firstly, in a tawa dry roast 3 cup murmura on low flame. dry roast until the murmura turns crisp. keep aside. 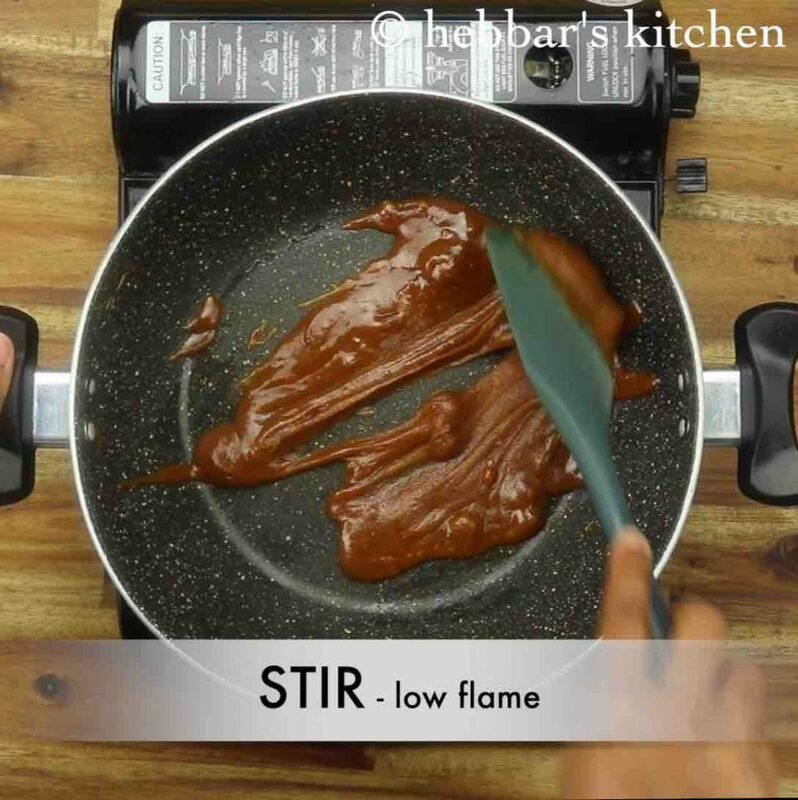 in a large kadai heat 1 tsp ghee and add 1 cup jaggery. keeping the flame on low stir continuously until the jaggery melts. stir on low flame, till it turns frothy. 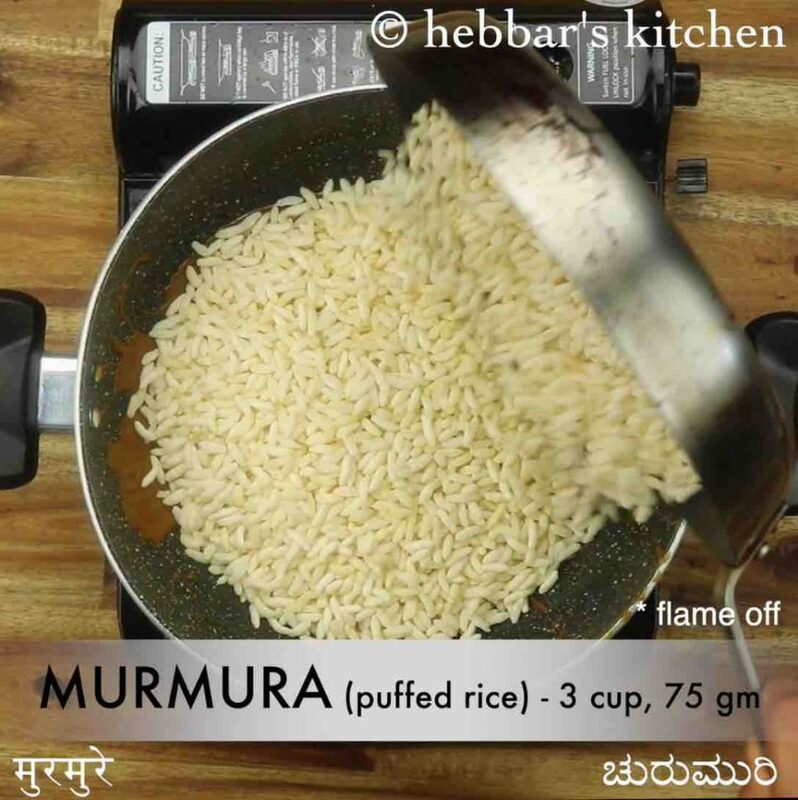 turn off the flame and add dry roasted murmura and mix gently. 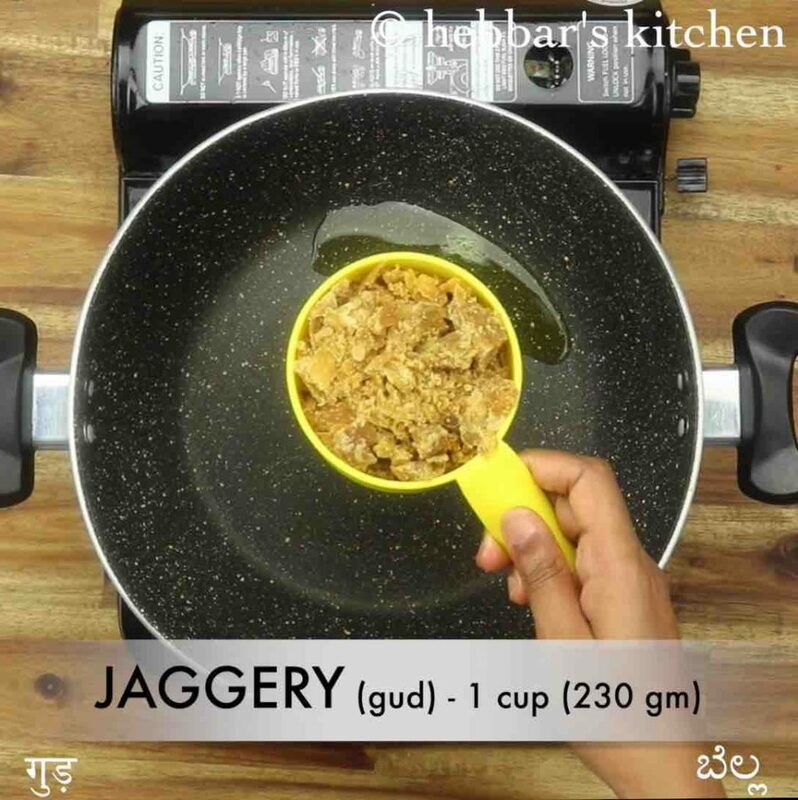 mix until the mixture is well combined and jaggery syrup is coated well. 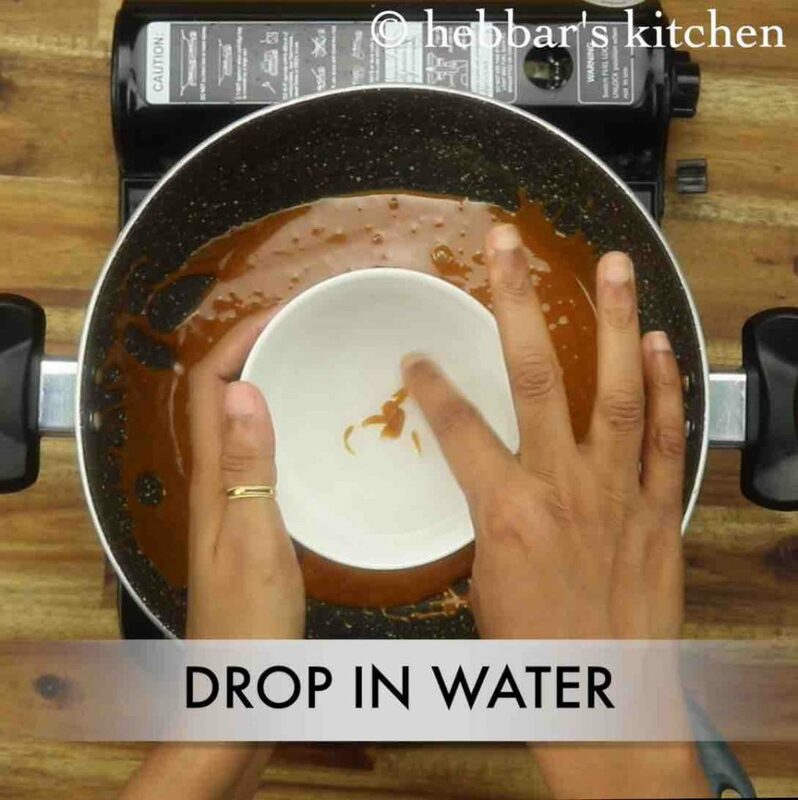 grease your hand with ghee or wet your hand with water and prepare ladoo when the mixture is still warm. finally, enjoy murmura ladoo / pori urundai for a month when stored in an airtight container. firstly, consistency of jaggery syrup is very important to prepare perfect ladoo. 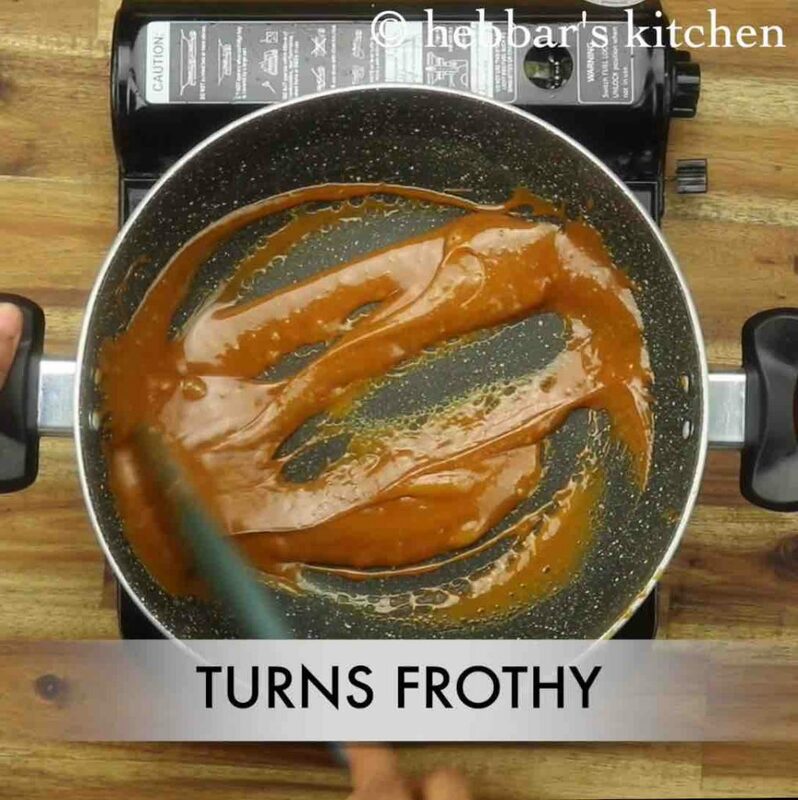 if you are looking for slightly hard ladoo then boil the jaggery syrup slightly more. additionally, add crushed peanuts or dry fruits along with murmura. finally, once the mixture cools, it will not be possible to make ladoo. so make sure to reheat in the microwave and prepare pori urundai.